Want to make meals with hidden veggies? These foods make it easy! Like a lot of moms, I have a hard time getting my kids to voluntarily eat vegetables. Unless they are drenched in ranch dressing or cheese, if there is a hint of green on the plate you know it's going to be a struggle. With everything on our busy schedule this fall, getting a meal on the table is stressful enough without worrying about the vegetable debate. That's why I love meals with hidden veggies. I can give my kids their favorite foods and sneak in extra nutrition at the same time. Preparing meals with hidden veggies doesn't have to be hard. You can make a few simple swaps for no fuss favorites that everyone will love. I've even found a way to replace my own sugar filled fall treat with a healthier and much more affordable option. Ready to get sneaky? 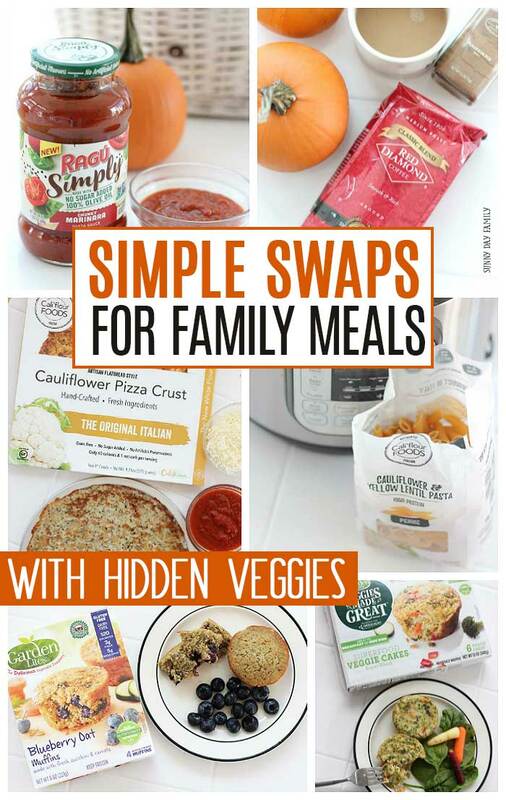 Here's my favorite swaps for family meals with hidden veggies (and a treat for mom too). Marinara sauce is one of the easiest ways to get your kids to eat their veggies. 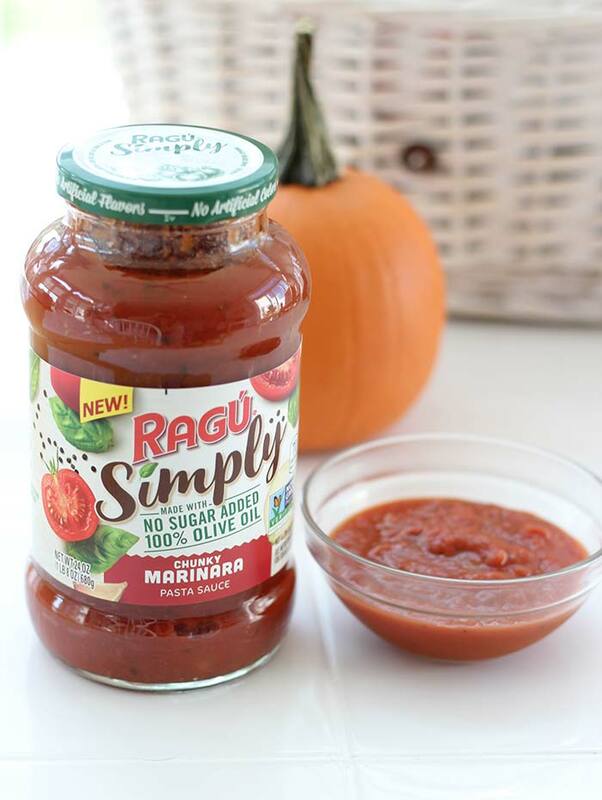 Make sure your marinara is one you can feel good about feeding your family when you use New RAGÚ® Simply Chunky Marinara Pasta Sauce. New RAGÚ® Simply Chunky Marinara Pasta Sauce is the best pasta sauce we have tried in a long time. Made with 100% olive oil and no added sugar, it's proof that simple ingredients bring tons of flavor to your favorite recipes. In addition to chunky tomatoes this sauce includes sweet potatoes and carrots for an extra punch of vegetable goodness. We use it on everything from pizza to pasta, and even as a dipping sauce for snacks. Need inspiration? 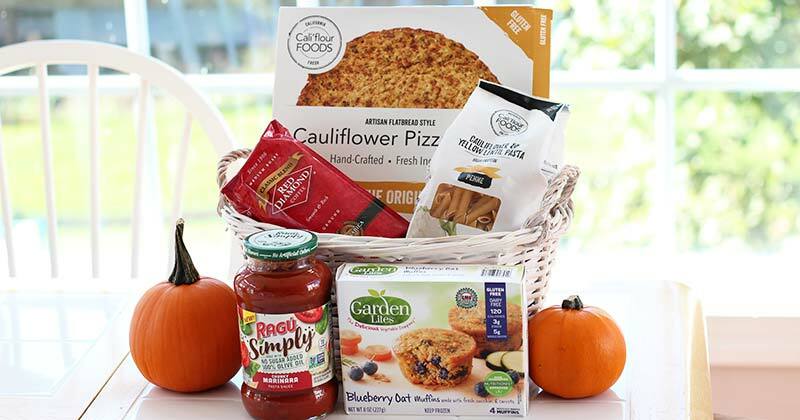 Try Quinoa Penne with Savory Tomato-Basil Sauce or Cauliflower Crust Mix & Match Pizza. Pizza and pasta are two staples of most family diets and are perfect places to add in vegetables. 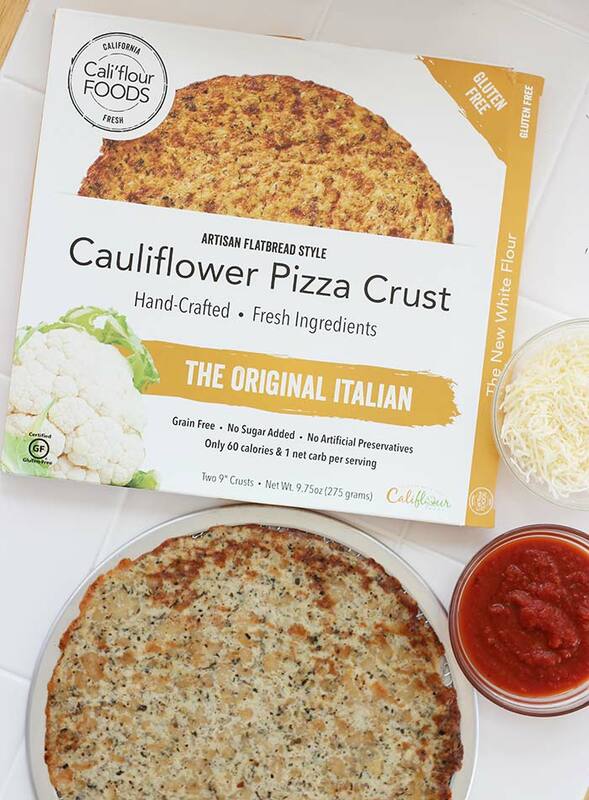 Cali'flour makes this super easy to do with their cauliflower based pizza crust and penne! Pizza Friday is a tradition in our house and I love that I can make it a healthy one with this low carb cauliflower pizza crust. 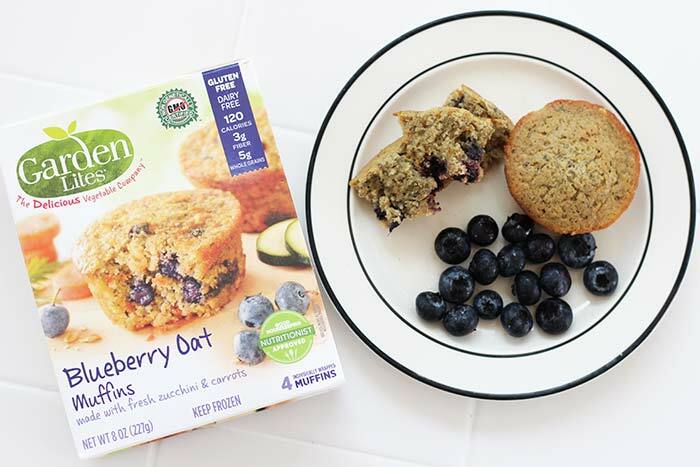 It's grain free, gluten free, and made with just 4 simple ingredients. So even if my kids don't want to top their pizza with veggies, they are still getting them in the crust. Mom win! Another simple way to add in more veggies to your staples is to substitute your regular pasta for Cauliflower & Yellow Lentil Penne. With just 2 ingredients, this high protein pasta packs a punch for a quick easy dinner. 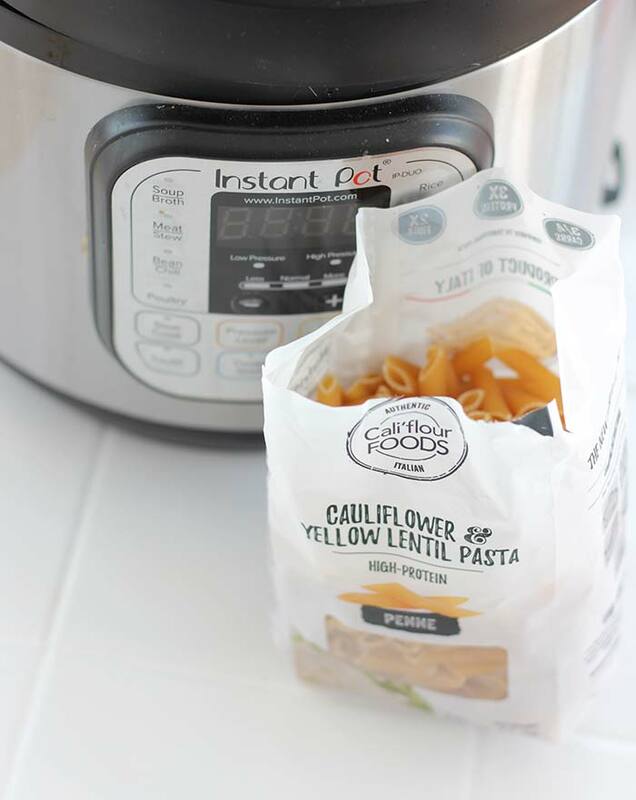 (PS - I make my pasta in the Instant Pot for hands off quick cooking!). And I can feel good giving my kids Mac and cheese for dinner when the pasta is this healthy. 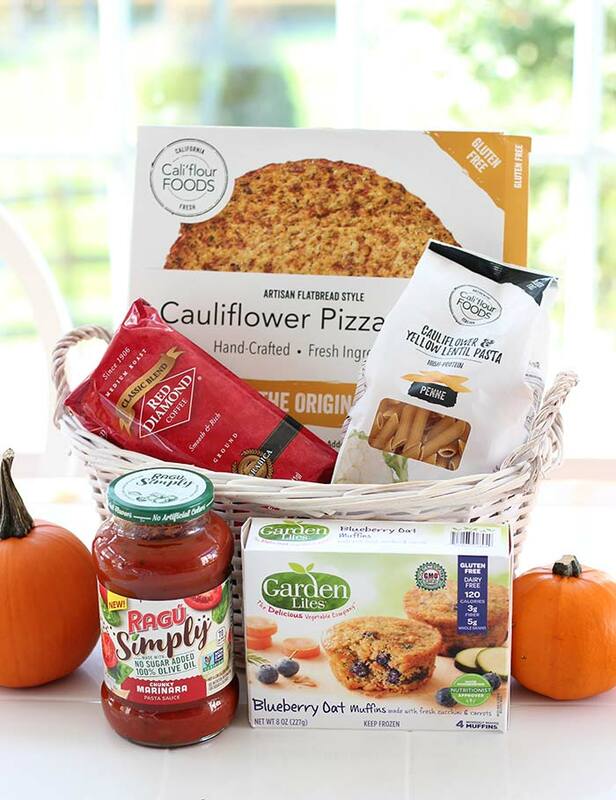 Click here to check out Cali'flour's complete line of pizza crusts and penne and use the code NOFUSSFOODS for 15% off your order (plus free shipping). Cannot be combined with other discount codes or promos. No expiration date -however the coupon code is only good for one use per customer. It can be tough to serve a quick & healthy breakfast on busy school mornings, let alone one with hidden veggies. But Garden Lites makes it easy (and delicious!). Forget the kids, I think I'm addicted to these blueberry oat muffins myself. And the first ingredient is zucchini! They are the perfect on the go snack, breakfast or even dessert. You can pop them in the microwave for 30 seconds for a warm, healthy alternative to sugary sweet breakfast foods. You can also toss one in your kids' lunchbox since they are allergy friendly (gluten, dairy, and nut free). 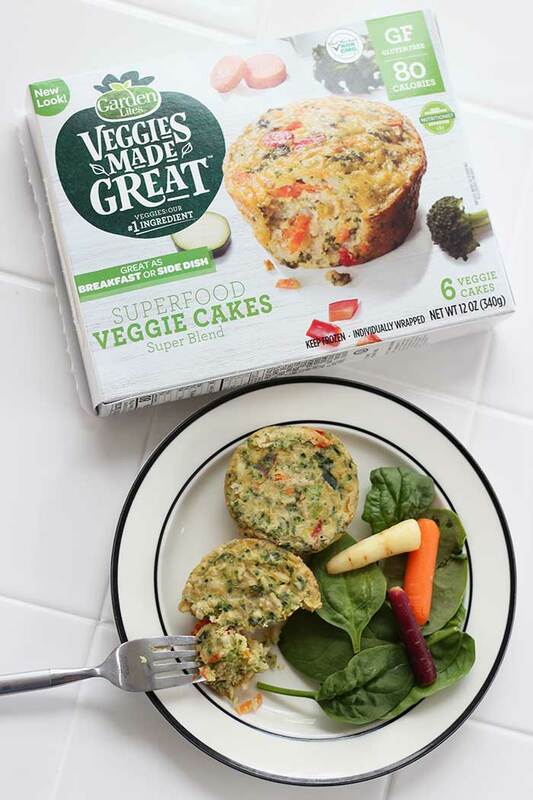 If you prefer a savory breakfast, Garden Lites Superfood Veggie Cakes are the way to go. Packed with veggies, you can quickly heat them in the toaster oven and serve with your favorite sauce for a super healthy start to the day. Find Garden Lites in a store near you and get a printable coupon for $1.00 off your in store purchase here. Or use the code BABBLE20 for 20% off your online order here. I'll make a confession. It's not just the kids who could use some more veggies in their diet. And during pumpkin spice latte season, I'm guilty of over indulging in sugary seasonal goodness. But I've found a way to make my own PSL at home with real pumpkin and it is so easy! The secret is starting with the perfect coffee and you can't go wrong with Red Diamond Medium Roast Classic Blend. Red Diamond is brings out the best in the coffee bean by only using hand picked beans grown at a high altitude and roasted in small batches. Keep an 11oz. 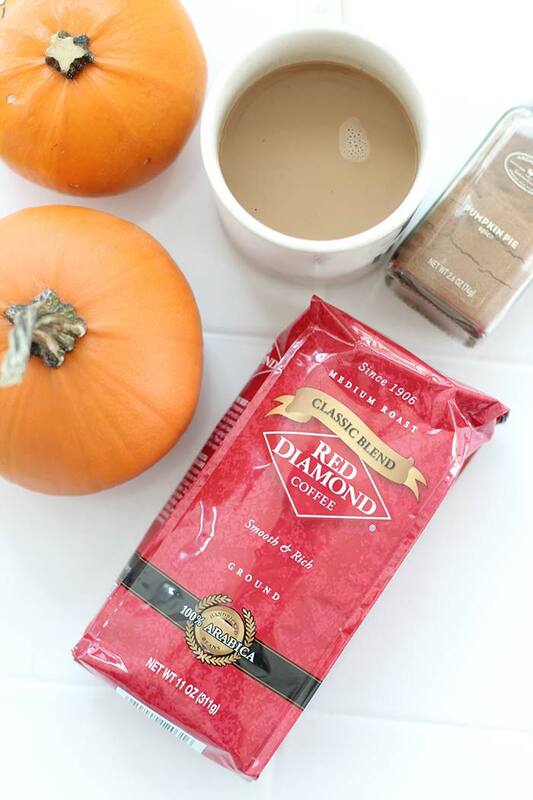 bag of Red Diamond Classic Blend Ground Coffee on hand so you can make my friend Rachael's amazing Crock Pot Pumpkin Spice Latte at home. Seriously - it's so good and only has 5 ingredients, including real pumpkin. It's the perfect way to enjoy a guilt free latte this fall. Click here to check out Red Diamond coffee and use the code coffee2018 to take 20% off your purchase. (One use per customer with no minimum purchase. Effective until midnight CT on 12/31/18). What are your family's favorite fall meals? Let me know in the comments below!